Mr. Bernert was formerly the CFO and board member of Munich, Germany-based KraussMaffei AG, the world’s largest manufacturer of plastics and rubber processing machinery and the market leader in the production of injection molding machines. He led a management team responsible for restructuring the business and driving growth. Prior to KraussMaffei, Mr. Bernert served as CFO of publicly traded WashTec AG (XETRA WSU), the world leader in cleaning technologies for automobiles, trucks and buses, with locations in the United States, Europe and Asia. 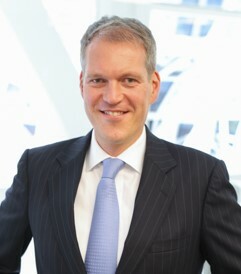 Previously, he held roles at General Electric and Henkel-Ecolab. Mr. Bernert has proven experience in driving major business transformation and brings to Madison a solutions-oriented, process-driven approach with an entrepreneurial mindset. Mr. Bernert earned his MBA from the Thunderbird School of Global Management and a BBA from Grand Canyon University.